Technical reports may be required for many purposes. As a building owner or occupier, you may have had work completed that is faulty and a report is required to identify the correct remedial work; as a landlord you may be approached by a tenant to adapt or alter a building as a precursor to an application for landlord’s approval; or you may require a technical report to support your position in a legal dispute. Whatever your requirements we can bring many years of experience to bear and an up to date working knowledge on a wide variety of property types and construction matters, providing a full, unbiased and honest opinion, with clarity and focus. We have experience in providing technical reports and presenting evidence in court and in tribunal hearings. 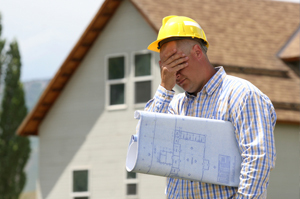 If you have a property or construction problem or a dispute that relates to professional negligence, construction fault or building defect, we are able to assist you with your requirements.